Learn meanings of WhatsApp smileys, symbols, emojis and emoticons. Some of these icons look weird to many users as they are symbols from Chinese and Japanese cultures. Let’s see the list of chat symbols and understand their meanings! WhatsApp is the world’s most popular mobile chat app. It has revolutionized the way the word communicates. WhatsApp has made it very easy to transfer text messages, photos, videos and audio files from one mobile phone to another. Now it is even possible to use WhatsApp on computer. People all over the world are using WhatsApp in a large number of languages. But the language of those smiley faces is all the same world over. As the saying goes, a picture says a thousand words. Therefore, since long, emoticons have been an essential part of any good chat application. WhatsApp and other emoji apps provide a large set of emoticons to convey feelings and several other thoughts which would otherwise need several words to express. But many of these WhatsApp symbols are confusing. Most people don’t know the meaning of many WhatsApp icons or symbols. While there are some standards ones (like smile, sad, laugh, cry etc. ); many other symbols seem to have no apparent meaning. A reader of my blog asked me through email the meaning of certain WhatsApp symbols. That’s how I thought of researching and writing this article. What are WhatsApp Symbols, Icons, Emoticons, Emoji? Emoticons are actually a combination of text characters. When put together, they convey a certain emotion. For example, :-) is a combination that conveys smile. Emoticons were invented by general users of the chat applications. Later small picture icons came in trend. Web applications (like Facebook chat) began to use such pictorial expressions. Facebook also launched FB Stickers Store to supply even more such icons. These pictorial symbols are called Emoji (it is a Japanese language word that means Picture Letters). Emoji were first invented in Japan and WhatsApp icon-set has several icons that have a special meaning in the Japanese culture. The symbols or icons that you send to your friend on WhatsApp are actually called Emojis! These symbols are used to show one’s sun sign of birth. 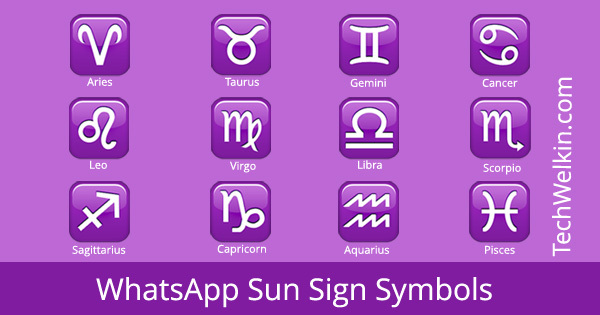 In WhatsApp, the Ophiuchus symbol is available right after the regular zodiac signs. Ophiuchus is considered the 13th Zodiac sign and it represents the Ophiuchus constellation. 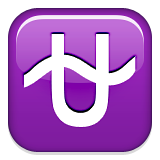 This symbol appears right after the Ophiuchus symbol. This six pointed star with a dot in the center is called the Star of David. 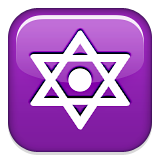 It is a a sacred symbol in Judaism. In Hebrew, this symbol is called the Magen David (meaning “Shield of David”). Now, let’s learn the meanings of some of the very intriguing WhatsApp symbols. You’ll find that you may be using these symbols to convey something else than their originally intended use! 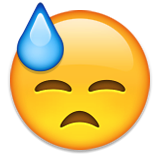 A lot of people often use this emoji to convey “embarrassment” or and “oops! moment”. But in reality this money emoji with eyes covered by his hands is actually connects to the proverb “See no evil, speak no evil and hear no evil”. This emoji represents the “see no evil” part. To complete the set, there are two more money emojis available. 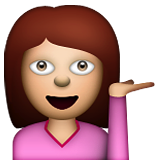 This emoji was created to convey “openness” or acceptability. So, you can use it as a symbol for hugging someone. However, all over the world, people use it with their own innumerable interpretations. So, tell us, please!, how have you been using this openness emoji?! 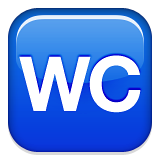 “WC” stands for Water Closet. This is the standard symbol for toilet in several parts of the world including Europe. So, if you want to rush to the toilet in the middle of a WhatsApp chat, you may send this WC symbol! In Japan, bowing is a way for showing respect. 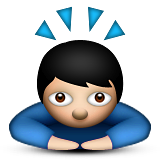 Mostly, this emoji often used by WhatsApp users to convey that someone is “thinking”. But the real meaning of this symbol is to convey respect to the other person. World over, SOS is the call for help. 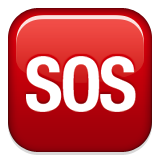 SOS stands for Save Our Soul. You may use it on WhatsApp chat when you’re desperately seeking help from your friend. Just send this icon and your meaning would be clearly conveyed. Many people mistake this droplet with a tear drop. But actually it is meant to be a sweat drop on the forehead of a stressed person. So, if you’re pain, fatigue, fear etc. you can send this WhatsApp symbol over chat. I hope you’re not sweating because you’ve send a WhatsApp message to a wrong person! Different people use it differently. Some folks think it is an award, some think it is a shooting star and others use it as an aura of a blessed person. But you will be surprised to know that the reality is far from all these interpretations. In reality, this WhatsApp symbol is meant to show dizziness or a spinning head! (this is the reason why this icon has been placed in Expressions category). 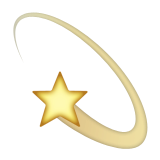 So, if you want to comically say something like that you’ve been hit by a huge workload, you can use this symbol. 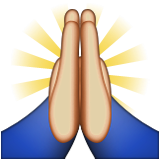 Mostly WhatsApp users use this emoji to convey a prayer or pleading. In India, people use it to convey namaste, a gesture to convey respect. But in truth, as per Japanese traditions, this gesture conveys gratitude towards someone who does a favor to you. Japanese people especially use it to show their gratitude after having a meal at their host. As per Mashable, this icon was originally meant for asking how could you be of help to the other person (like a receptionist asking “How may I help you?”). But users of WhatsApp have made their own interpretations. For example, some use it to convey smugness or “I am better than you” attitude. These people think that the brunette has flicked her hair backward with her hand and thus conveying a sort of superiority or carelessness. 8. Who is John Appleseed? This a credit card icon —there is no confusion about it. 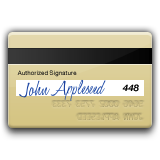 But if you look at a bigger version of this icon, you’ll notice that the card has been signed by some John Appleseed. Naturally, many people will ask, who is this John Appleseed? Well, according to TechRadar, John Appleseed was a nickname used by former Apple CEO Mike Markkula. He used this alias to sign software programs which he created for Apple II. As a sign of respect for Markkula, Apple has been using John Appleseed as a demo name. 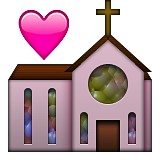 This icon most probably conveys a “wedding”. Other possible usages could be “I love going to Church”. This is called Kadomatsu in Japan. 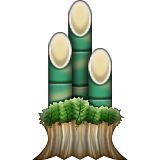 According to Wikipedia, it is a traditional Japanese decoration made of three bamboo shoots and pine leaves. These are used on the New Year to welcome ancestral spirits of the harvest. Usually Kadomatsus are placed in pairs in front of homes. These are actually Japanese Kanji symbols (but most people may anyway think that the language inscribed is Chinese!). 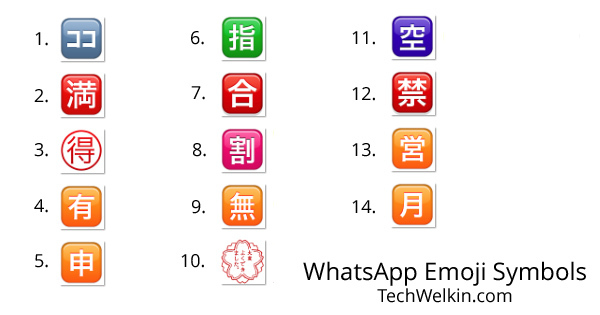 Chinese and Japanese symbols in WhatsApp. According to cilisos the inscription inside the white flower says “tai hen yoku dekimashita”. It means “you did very well”; teachers often give this stamp to good performing students. There are many other Japanese/Chinese emojis available in WhatsApp. Soon, I will add more of these along with their meanings. Most of WhatsApp smileys have standard meanings. Sometime ago Buzzfeed published a graphic depicting the WhatsApp smiley meanings. I am using that same image instead of rewriting the entire story. Here you’ll find meaning of smiling, crying, laughing, excited, worried, angry smiley faces among others. 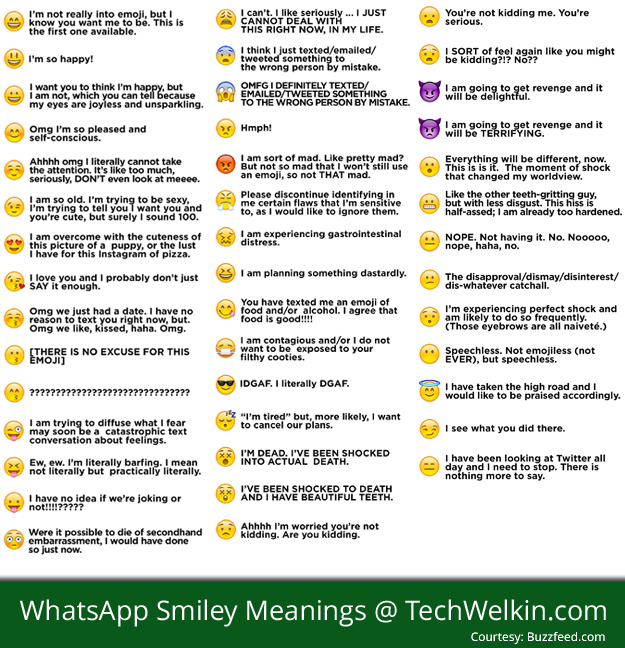 WhatsApp Smiley Faces and their meanings. Well, I hope this compilation was useful for you. Please take part in this compilation and let me know the meanings of other weird WhatsApp symbols. Thank you for using TechWelkin! What’s the diamond/gem stone mean? Why is there no “raised eyebrow” emoji for “puzzled” or “questioning” of “disbelieving”. I’m constantly coming across the need for one, but of all the human expressions that can be depicted through emoji’s, none of them will suit. The “thinking about it” face (head tilted with hand on chin…not on the above list) comes close but no cigar. What is the meaning of nerd emoji? Big glasses on face with two teeth out? I never know the true meanings of these emoji! Thanks for clarifying. ?what exactly does this one mean? What does this smiley means? Hearts in eyes —this emoji depicts love. A little heart coming out of the mouth of a smiley. It is the emoji for flying kiss. Hi Nel, the emoji showing a zipped or zipping mouth means sealed lips. This conveys a secret. It also says that “I’m not saying anything” or “you should keep quiet”. What does the symbol of a speaker with a line drawn through it mean?can you block someone on WhatsApp? Hi Margaret, yes you can block anyone on WhatsApp. But the speaker icon with a crossing line means that the conversation is muted. You will not receive any notification for muted conversations. Is WhatsApp made only for Japanese? No! WhatsApp is made and available for anyone around the world. It’s just that the concept of pictorial representation of emotions (called emoji) originated in Japan. So, a number of emojis have connections with Japanese culture. Could you please help me to interpret emoticons on whats app without having to download any other app. Tried placing my finger on the icon to see if it pops a meaning. There is no such feature that will pop a window and tell you the meaning of WhatsApp emoticons. I am adding meanings of emoji icons in my article as I am learning them. What does this symbol mean ?? Although this emoji looks like a leaking nose (water drop coming out of nose), but as Rasika explained in her comment below this emoji represents extreme boredom in Japanese manga. Needing help figuring out true meaning of emoji frm a message. Brown maple leaf followed by single blowing green leaf .followed by single orange leaf. They were sent in the message exactly as i describe. If u can help me figure out what these emoji mean i would appreciate it. Hi Justin, there is no hidden message in this emoji. The emoji that you described just depicts Autumn leaves or Autumn season. please help me with this one ? what does this smiley mean? This is the crying emoji face. That one’s actually a smiley with a bubble from it’s nose, which in Japanese manga represents extreme boredom…to the extent of falling asleep ! Thank you, Rasika, for enlightening us! This is anchor emoji. Anchor is a device to hold a ship at its current location. Anchor stops drifting. That was very helpful in decoding the codes. thank you :) Your research is valueable. Good. If on WhatsApp chat someone reply as “Cool” then What is the meaning of this ? The word “cool” is used for saying that something is nice. What is the meaning of this watsapp symbol? This emoji looks like two fish but actually these are two wind socks. Such wind socks are used in Japan on Children’s Day. This symbol is also known as Koinobori, Fish Flag or Wind Socks Emoji. Found it very useful! Many thanks. What does ♨ this symbol means in whatsapp? I am not sure, but this emoji probably means a steaming cup. What does this mean, I thought waving hand, please clarify. You’re right Sravan. 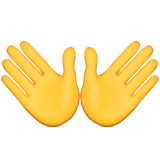 This emoji is for waving hand. What is the meaning of this WhatsApp symbol and when to use this sign in whatsapp? Hello Fatima, this symbol is called Raised Fist or Clenched Fist and it is used for showing support or solidarity with someone or a with cause. Actually, there is no Chinese among them. Could be several but almost unique Asian style icons are definitely Japanese. Little bit confusing to someone who knows China and Japan, because some Kanji (Chinese Letter) is used in China too. But if you see the atmosphere of all of them, they are Japanese taste design —and not Chinese at all. Thank you for the comment, Nihonjin! I also have written in the article that “These are actually Japanese Kanji symbols (but most people may anyway think that the language inscribed is Chinese! )”… These emojis are based on Japanese culture but a lot of people who can not differentiate between Japanese and Chinese will get easily confused. Thanks for your comment and information! Actually ♋ should mean Pisces. As Pisces are always shown as two fishes in a bowl of water! Vijay, you are right that two fish on top of each other are also shown as a symbol of Pisces. But in astrology the sign you’ve mentioned belongs to Cancer. The meaning of WhatsApp symbols that I have given above, is correct. Hey Avenger, thanks for the info! This information was very helpful to know the real meaning of smileys! That’s the astrology symbol for Aries (the Ram – which is a male goat with two curved horns). I think the last emoji is Chinese. It means moon. Noah, thank you for your comment and help in decoding the emoji! Hope to hear more from you. Mr.Lalit Kumar,thanks for sharing valuable information often.keep sharing ………..
You’re welcome Edwin! I am glad it was of use for you. Keep in touch with TechWelkin. Thanks for letting us know the real meaning of these icons. I am using WhatsApp and i didn’t really know the meaning of it. Glad that it was helpful Jason. Hope to hear from you more on TechWelkin!